Susan's Saga: 3-d Paper Flowers! 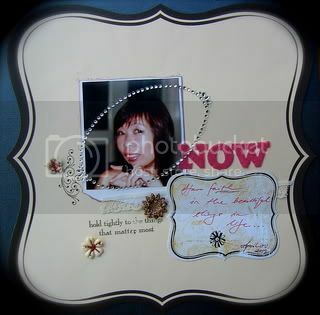 Want to know how I made the three dimensional paper flowers for the last scrapbook page I posted? 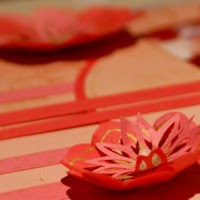 I made a tutorial for you about that and it can be found on the How to Make Paper Flowers page at PaperCraftCentral now! Please let me know if you make any and tell me what you think o fthe tutorial, okay? Thanks! Thankyou for your comments on my blog Susan, it means alot that you are so supportive. Susan.........the flowers are STUNNING!!! And I do love the picture tutorial!!! I'll have to attempt it to see if I can follow the steps..........but I have to get a heart punch!! That's going on my next shopping list!!! LOL Thanks so much for sharing this!! I DO love those 3D flowers!!! my ! what a fab tutorial , Susan ! Making our own flower embellies seems to be the rage these days ! I had fun this weekend making some out of newspaper ! & nearly tried sewing some fabric ones but didnt have time to try yet ! GORGE FLOWERS AND GREAT TUTORIAL...THANX FOR SHARING. It was great to have a peek and see the gorgeous ones you made.